Hello Little World Skypers is a group of educators dedicated to collaborative International learning. Моля да не се сърдят хората, които искат да влязат в групата, пък не са допуснати. Заявките за присъединяване към група "Първокласно" ще бъдат одобрявани след получен мейл (parvoklasno@abv.bg), в който накратко се обяснява желанието за членство. Which is your favourite of the "20 things that we should say more often." Why? TechChef4u, Austin, Texas. 990 likes · 84 talking about this. TechChef4u is an educational entity that supports and promotes purposeful and engaging product-based integration of iPods and iPads at home and in the iClassroom. We serve up tips and innovative ideas for maximizing learning and instruction across the curriculum. With over a quarter of a million pupils having taken part in QuadBlogging® so far since 2011, QuadBlogging® is going from strength to strength giving pupils (and teachers) a leg up to a genuine global audience. We have now been together for nearly three months. There have been highs ( Wow! that was fantastic finally embedding that poll) and lows (Oh this week's challenge is boring - do we have to do it?) Time now to evaluate - most teachers ask students to do this after studying a topic for a period of time. Do make sure you visit all the fabulous Showcase Specials! Well done to all who entered last week's special prompt. Prize winners will be announced later when Musomic has had a chance to go through them. you can keep up to date with all the news by following @MUSOMIC on Twitter! The SIG Virtual Environments seeks to explore all things related to education in virtual environments. The group sponsors some regular events as well as some special events that come up during the year. Our regular events are: SIGVE sponsors a periodic "Connected Hour". Classroom 2.0 LIVE! - Saturday Shows Classroom 2.0 LIVE will not meet on November 30th in order to celebrate the Thanksgiving Holiday weekend in the USA. Join us on Saturday, December 7th, when Tracy Watanabe (Tech Integration Specialist and Instructional Coach), Jon Castelhano (Director of Technology) and a team of amazing 3rd grade teachers from Apache Junction, AZ will be our special guests. Welcome to Inevitable Betrayal! We are modest but mighty educators' gaming guild providing extreme tourism guides for MMORPGs and virtual worlds. Our focus is educational exploration in virtual worlds, MMORPGS and mobile games. We are also exploring guild progression and endgame content. We are a level 25 guild. New To The EDU PLN? A Screencast and tutorial on Navigating this site is available here and on the Video Page http://edupln.ning.com/video/a-screencast-on-how-to-1 Please feel free to make suggestions for improvement of this site. To add a picture to your profile simply use any picture you have filed. Teachers With a Sense of Humor. 154,238 likes · 241,259 talking about this. As a teacher, I started this page because humor recharges my batteries. It is very important that everyone keeps her/his sense of humor when visiting this page as well. Please treat everyone with kindness and respect. Integrating Technology is an informal volunteer network that offers free to low-cost professional development workshops for educators on how to integrate technology for active lifelong learners (IT4ALL) via Blended Learning (BL) and Blended Online Learning (BOL) courses, workshops communities of learning, international collaborative projects, and live online events (webinars). 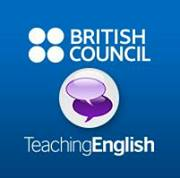 Teaching English - British Council. 1,133,799 likes · 107,275 talking about this. Teaching English is the British Council's website for teachers of English: www.teachingenglish.org.uk Teaching English brings together everything busy teachers need for the classroom and the staffroom - lesson plans and worksheets, teaching tips, web links, teaching articles and lots of information about professional development - training, conferences and qualifications.